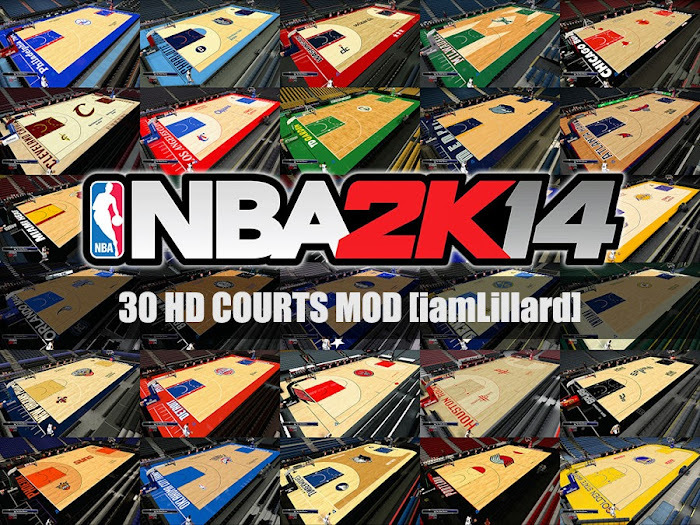 This patch includes the HD courts (4096 ×2048 resolution texture, which 4x higher than the default court) of all the 30 NBA Teams for NBA 2k14. The courts are much more realistic - the floor texture, details, the reflections- all are HD. Extract the downloaded folder using 7zip. Copy the contents of “Floors” Folder and paste them in your NBA 2k14 Game Folder. Replace existing 32 files. Note: In case your PC can’t handle the HD courts, keep a copy of all the original floor files (from f001.iff to f031.iff) as back-up. If any difficulties, ask below in the comments section.